Health care reform would not have happened without the political skill and tenacity of House Speaker Nancy Pelosi, or without the last minute round of arm twisting by President Barack Obama. But equally important was the energetic public campaign that Obama and liberal and left-wing organizations waged on behalf of it. This campaign altered the chemistry of the debate within Congress and among Democrats. Democrats in Washington had come to understand that it was us versus them, with “them” being Republicans, Tea Partyists, and various business lobbies, but they can now recognize that there is a real “us” out there. 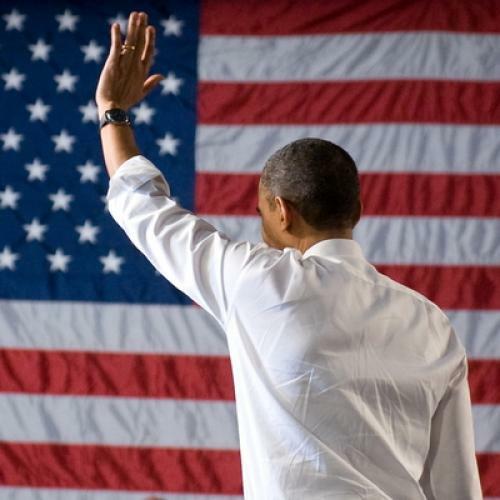 During the 2008 presidential campaign, Obama billed himself as a veteran community organizer, but he governed during his first year as the most conventional politician. He largely stayed above the fray, leaving the battle to pass his legislation to White House aides and to Congressional leaders whom, he hoped, would reach a fruitful accommodation with potential opponents from the Republican Party and K Street. It was more reminiscent of Grover Cleveland or Dwight Eisenhower than Franklin Roosevelt or Lyndon Johnson. This approach worked somewhat with the initial stimulus bill, but it sputtered with health care reform--and ground to a halt after Scott Brown’s victory in Massachusetts removed the Democrats 60-vote edge in the Senate. After Brown’s victory, powerful Democrats, including Rep. Barney Frank, declared the struggle lost, and White House aide Rahm Emanuel renewed his pitch for small-bore, incremental reforms. As we now know, Obama and Pelosi decided instead to make a final push for a comprehensive bill. Part of their strategy included caucusing and arm twisting, but what Obama also brought to the table was a public campaign. It began with the health care summit, and continued with speeches to voters in places like Willow Grove, Pennsylvania, Strongsville, Ohio, and St. Louis, Missouri. These speeches took aim at the insurance companies (chiefly WellPoint) and the Republicans who wanted to “let them run wild.” They were tough, agitational, us-versus-them speeches. Obama’s public offensive shifted opinion on health care. In early February, before the summit, a Kaiser poll found support and opposition to the “health care proposals being discussed in Congress” equally divided at 43 percent. This month, on the eve of the vote, Kaiser found that supporters outnumbered opponents by 46 percent to 42 percent. Other polls showed higher disapproval of the plan, but a similar trend toward approval and support of health care reform. But the most interesting finding in the Kaiser poll was the increase in “strong support” for the plan among Democrats--from 30 percent in January to 52 percent in March. That was evident not just in poll numbers, but in an energized Democratic base that had lain fallow since the inauguration. In the last month, the political movement that stirred during the campaign suddenly revived. Liberal, left-wing, and labor groups ran ads--Moveon.org spent $300,000 on an ad plugging health care reform, and Health Care for America Now, which is largely labor-backed, spent $1.4 million--primarily in the districts of wavering Democratic House members. They threatened to withhold contributions and run primary candidates against Democrats who opposed the bill. In New York, the Working Families Party, which has attracted labor voters for Democrats, threatened to withhold endorsement from Representative Mike Arcuri. The Service Employees International Union (SEIU) told Rep. Mike McMahon that if he voted no, they would fund a challenger. The Steelworkers staged a sit-in at the Western Pennsylvania office of Representative Jason Altmire. The American Association of Retired Peoples (AARP), not your stereotypical protest organization, held a demonstration at the offices of New York Representative Scott Murphy. The administration’s somnolent Organizing for America suddenly woke up during the health care battle. Members demonstrated in Salt Lake City and Royal Oak, Michigan. They annoyed Texas Representative Chet Edwards with repeated demands that he back the bill. Most interesting, groups that had opposed or been wary of the existing legislation from the left fell into line once the real choices became apparent. When Moveon.org, which had campaigned for the public option, held a referendum on whether to back the current bill, 83 percent of their members favored doing so. AFL-CIO unions unhappy with the excise tax pressured Massachusetts Representative Stephen Lynch to back the bill. In the end, wavering House Democrats like Murphy and Ohio Representative Charlie Wilson fell into line. But the importance of an energized base went well beyond their votes. The upsurge of activity over health care reform should remind Democrats who have had to put up with intransigent Republicans that they also had a movement they could mobilize. It had been present during the campaign, but the Obama White House had allowed it to disappear. Now it was back, and it could be used not just to build support for other bills, but to protect endangered Democrats in the fall. Obama and the Democrats in Congress need to take heed of this. During the president’s first year, as Obama’s and the Democrats’ poll numbers fell, and as the Democrats lost key elections in Virginia, New Jersey, and Massachusetts, a kind of fatalism took hold in Washington. It was inevitable, the feeling went, that an administration facing an economic downturn would get drubbed in the next elections, and perhaps even lose the House and the Senate. But this argument assumed the kind of static insider model that the Obama administration followed during its first year. This model needs to be discarded, and replaced by the kind of political model that would be familiar to Franklin Roosevelt or Ronald Reagan: one where the politics of maneuver within Washington was supplemented--or better, transformed--by a politics of vigorous protest and advocacy. That’s the real lesson of the health care battle. John B. Judis is a senior editor of The New Republic and a visiting fellow at the Carnegie Endowment for International Peace.